Anthony Schreiber started Schreiber’s Brewing Company in 1899. 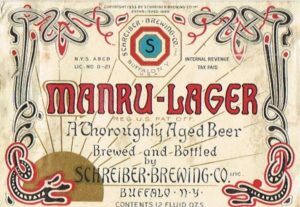 From its start, Schreiber’s produced its flagship beer, Manru. In 1908 the brewery was describe as such “The A. Schreiber Brewing Company, 662 to 686 Fillmore Avenue and 227 to 249 Wilson Street, is another one of the concerns that contributes largely to Buffalo’s supremacy as a brewing center. It was incorporated under the laws of New York State in 1899, with a fully paid capital of one hundred thousand dollars. 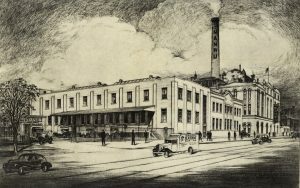 May 15th, 1899, ground was broken for the new plant, and within a year the big brewery had been completed and the brewing of Schreiber celebrated beer began. At the beginning the brewery occupied a frontage of one hundred and forty feet on Fillmore Avenue, extending back to Wilson Street. 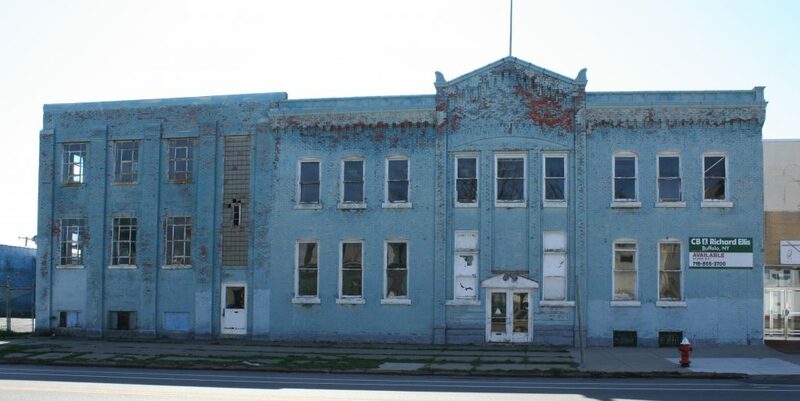 At the present time there is a frontage of four hundred and seventy-seven feet on Fillmore Avenue, and with its additions and improvements the Schreiber plant is one of the finest in the country. It occupies a vast area, and its buildings are all well laid out, and are constructed of brick, cement, and steel, and absolutely fireproof. The product of the brewery is fine lager beer, its standard beer being “Schreiber” beer, and its special brew ” Manru.” These brands are well and favorably known throughout Buffalo for their fine quality and wholesomeness. Among the hotels and high-class saloons of the city, the brewery enjoys a large patronage and in a vast number of private homes the Schreiber beers are always to be found. In capacity, the Schreiber plant compares favorably with the larger breweries of the country. Originally the plant had a capacity of twenty-five thousand barrels a year, but with the improvements and additions of late years, it has been increased to approximately one hundred thousand barrels and is rapidly being extended. Schreiber would survive Prohibition by producing coffee before closing its doors in 1950.